Four South Korean Buddhist temples were recommended for addition to the UNESCO World Heritage list, the Cultural Heritage Administration (CHA) said Friday. South Korea submitted an application last year for seven mountain temples to be listed. The list includes Beopju on Mount Songni, Tongdo on Mount Yeongchuk, Buseok on Mount Bonghwang, Bongjeong on Mount Cheondeung, Magok on Mount Taehwa, Seonam on Mount Jogye and Daeheung on Mount Duryun. 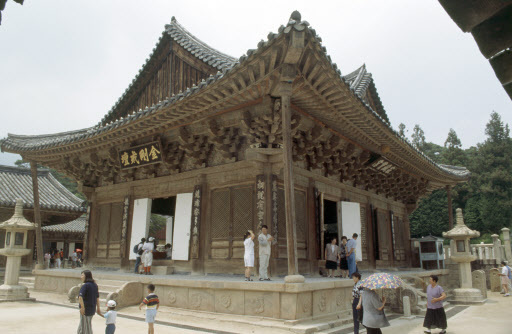 The state agency said UNESCO's International Council on Monuments and Sites (ICOMOS), an advisory group to UNESCO, recommended the four -- Beopju, Tongdo, Buseok and Daeheung temples. The final decision will be made at the World Heritage Committee meeting in Bahrain at the end of June, with the listing most likely to be made.